The heart-warming incident, which happened during the Philadelphia Love Run Half-Marathon, was captured on video. 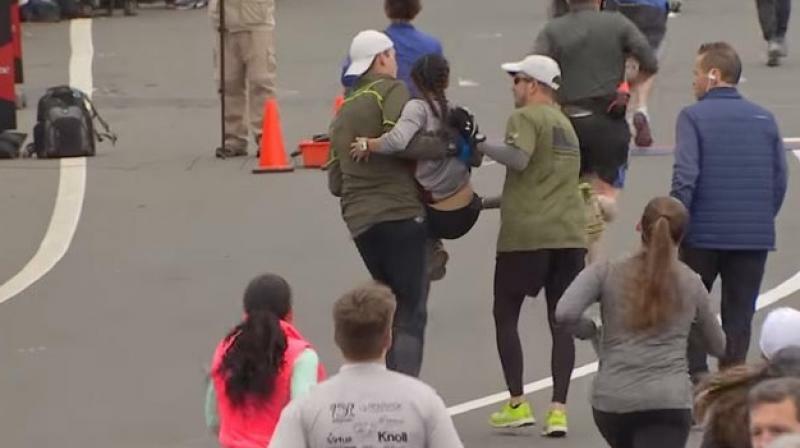 In a touching display of compassion, a woman participating in a marathon in the United States was helped by her fellow-runners to cross the finish line after she collapsed from sheer exhaustion. The heart-warming incident, which happened during the Philadelphia Love Run Half-Marathon, was captured on video. In the clip, the woman is seen trying hard to keep up with other marathon participants before being helped by two men who stop mid-race for her. When it looks like she might just collapse any second, a third man scoops her in his arms and carries her to the finishing line.